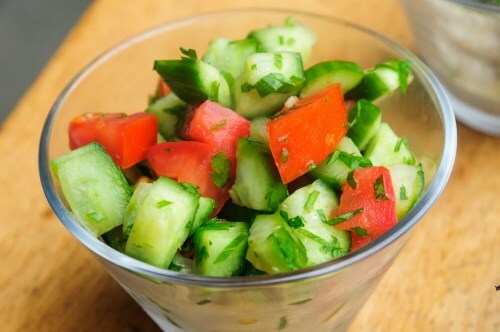 Peel cucumbers, slice lengthwise into quarters, and cut into 1 inch pieces; place in large bowl. Cut the tomatoes into pieces about the size of dice and add to bowl. Sprinkle with lime juice, chili powder, and salt; toss.